When controversy erupts over the safety of a drug, chances are, Steven E. Nissen is not far away. 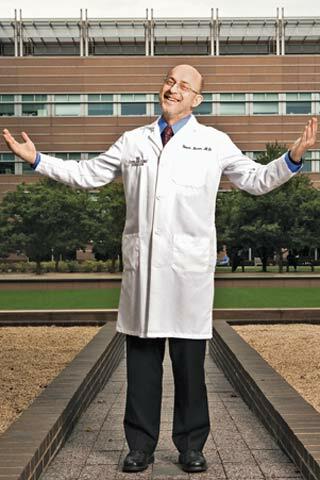 When controversy erupts over the safety of a drug, chances are, Steven E. Nissen is not far away. First, Nissen, who is chairman of cardiovascular medicine at the Cleveland Clinic, raised questions about heart complications related to Merck’s painkiller Vioxx, which was subsequently removed from market. Then he trained his sights on Pargluva, a highly anticipated diabetes drug, which the developer, Bristol-Myers Squibb, later scuttled. Most recently, Nissen published a study finding increased incidence of heart attacks in users of Avandia, GlaxoSmithKline’s $3.3-billion-per-year diabetes drug. While critics attacked Nissen’s study as alarmist and incomplete, an FDA investigation produced similar findings, prompting the agency to require a warning label on the drug. Nissen is a firebrand in a sometimes awkward position: He himself conducts drug trials. Q: What puts you on the trail of specific drugs? A: I read the medical literature carefully, and when I see something that concerns me, I look into it. Q: What concerned you about Avandia? A: In 2006 separate studies reported in The Lancet and The New England Journal of Medicine touted the drug’s benefits for preventing diabetes in high-risk individuals and for controlling blood sugar. But both studies also showed a greater than 30% increase in heart attacks. Neither by itself was conclusive, but together they pointed in the wrong direction. Q: Critics questioned the reliability of your findings because they came from 42 different trials instead of one uniform study. A: It’s true, there were limitations to the analysis. But there was no question in my mind that physicians and patients needed to know that there is very likely a serious problem with this drug, a potentially fatal one. Q: What about diabetes doctors who said your study could scare patients out of taking necessary medication? A: The era of paternalistic medicine is over. When we sit down with a patient before bypass surgery, we tell him he could have a stroke or a heart attack, or he could die. I don’t worry about frightening patients. A dialogue between patients and doctors, based on all the available knowledge, produces the best decisions. Q: Following the FDA’s study, an advisory committee recommended requiring a warning label for Avandia, but not pulling it from market. Should they have? A: It’s rare that a committee advises shelving a drug, and it’s not my aim to make them. I just want doctors and patients to have all the facts so they can make informed decisions. Q: How did this happen? Doesn’t the FDA mandate follow-up studies to make sure drugs are safe? A: They often do, but a majority of those follow-up studies are never done or are not done in a timely fashion. And only 1% to 10% of serious or fatal adverse effects from drugs are actually reported to the FDA. Pending legislation giving the FDA greater post-marketing surveillance authority would be a step in the right direction. But the entire FDA culture needs to change. Right now, the culture is more about drug approval than drug safety. Q: What else needs to change? A: Funding is a big issue; the FDA is largely funded by pharmaceutical-industry user fees. Would you want the worst polluters in America to fund the Environmental Protection Agency? Q: Are drugmakers really so terrible? A: There are some very good pharmaceutical companies that are being more transparent about their data. Overall, though, they operate very much like any other profit-driven manufacturer. But selling pharmaceuticals is not the same thing as selling a gadget on TV that chops onions. It requires a higher moral standard. Q: Don’t you conduct trials for pharmaceutical companies? A: Yes, but our cardiovascular center is totally nonprofit, plus we have some simple rules. If a firm contracts with the Cleveland Clinic Cardiovascular Center to do a trial, the complete database must be transferred to us at the conclusion of the study. If the drug company’s report on the trial ignores or overlooks negative results, we are free to use the data to offer a fuller account. I should point out that academic research organizations such as ours conduct fewer than 1% of clinical trials; for-profit contract research organizations do the rest, and they’re much more likely to let a company report data any way it wants. Q: Where does your activist streak come from? A: When I was at the University of Michigan in the late 1960s, we learned that the government didn’t always tell the truth. Remember the secret war in Cambodia? I learned to question authority, not to believe everything I was told.